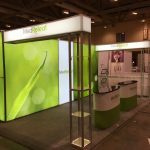 If you are looking to select a new trade show booth provider, reviewing their catalogue of completed booths can assist in your decision. 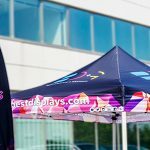 The team at Best Displays & Graphics has a over 35 years of experience in the industry, and we’re now highlighting some of the success we’ve achieved over the past year. 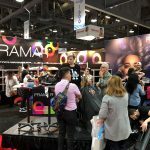 In this latest feature post, we’ll showcase our top 3 trade show booths from 2018. 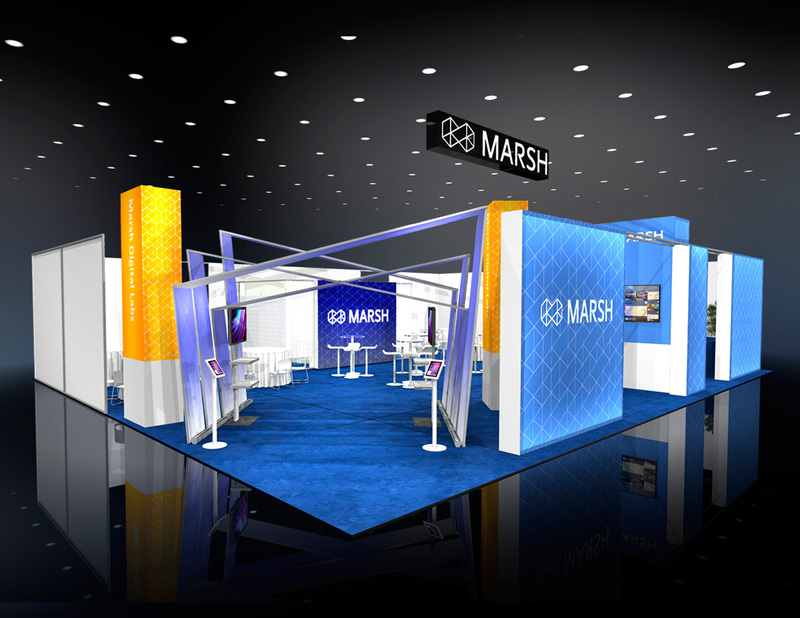 Marsh required a full-suite of services for their trade show needs throughout the year. 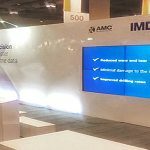 They selected Best Displays & Graphics for our design and build quality, and required us to complete graphics, as well as shipping and installing the trade show booth at their event. 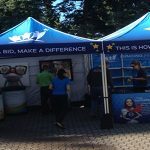 We were able to meet their needs for a distinct booth for the duration of the event. 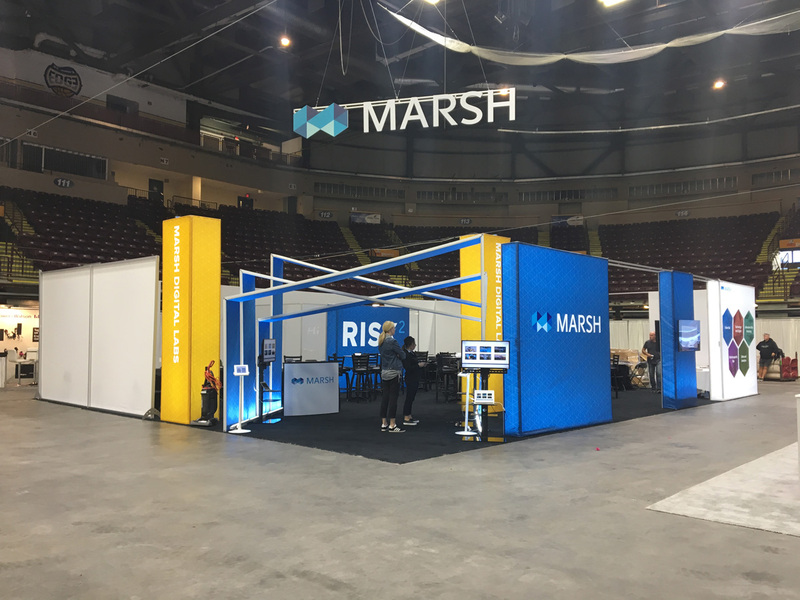 The team was particularly proud of the booth archway, in which we used angled display features to create an “M” shape for Marsh, which was illuminated by custom floor lighting. Elisha, our contact at Marsh, was a joy to work with throughout the project. She was open-minded and clear about the type of booth her company required. 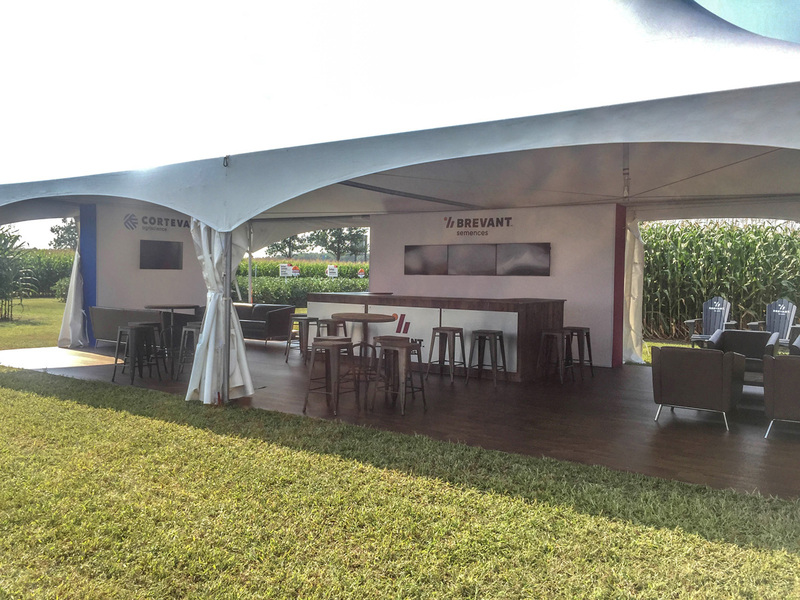 Corteva/Brevant/Pioneer required Best Displays & Graphics to create an outdoor display that fit under a large tent, for a man-cave style appeal. Our finalized trade show booth for the company involved the use of dark-coloured flooring, couches, chairs and bar tables. We integrated monitors within the display space, so customers could sit down and watch branded videos while enjoying a beverage. The entire install took two days to complete. We we were particularly proud of the custom-designed, raised wooden/vinyl flooring we installed on the grass at the event. 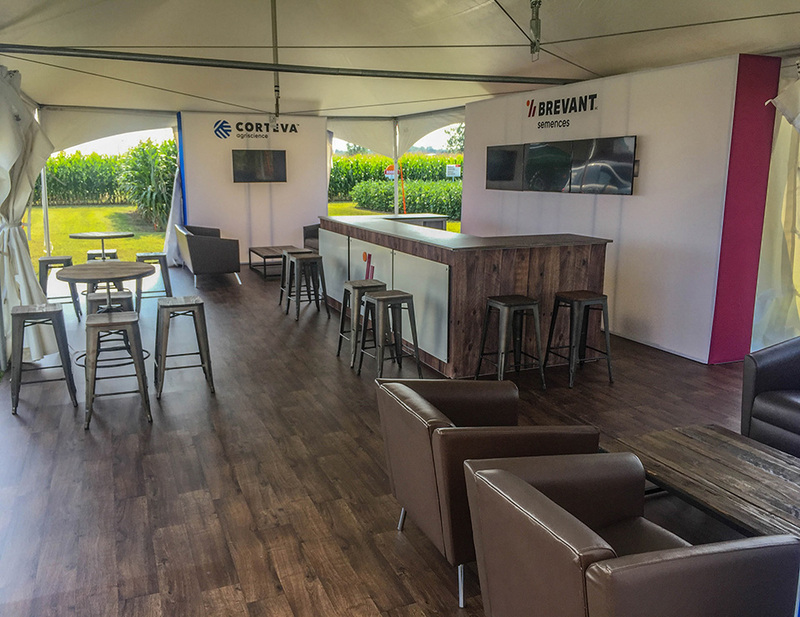 The entire team at Corteva/Brevant/Pioneer were wonderful to work with and very communicative during the design and building stages. 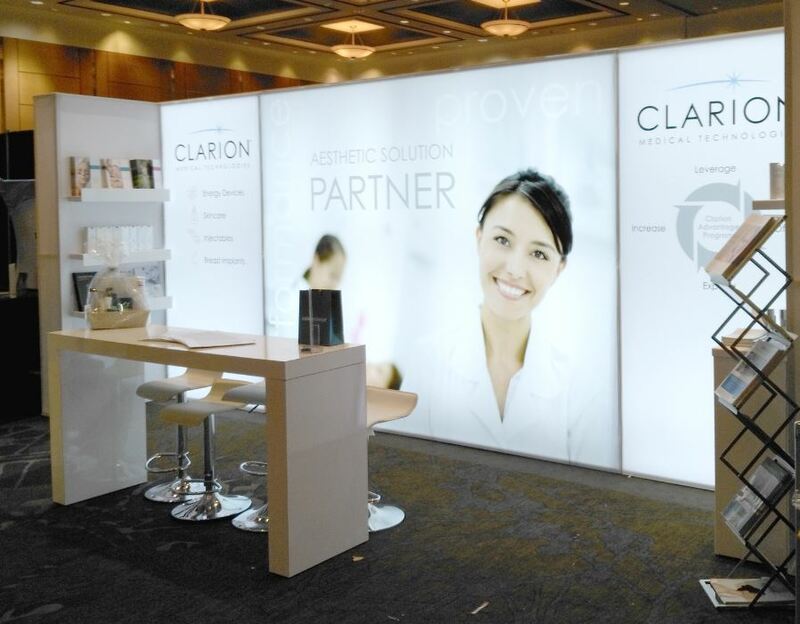 The healthcare services company Clarion Medical required us to upgrade their existing display with sidewalls and shelving, as well as new graphics for a more contemporary aesthetic. The challenge was that they wanted to retain their original booth design. So, we used the modularity of our Fabframe display to our advantage and added custom sidewalls with shelving. The entire process took one week to complete, including setting up the original configuration and custom-building floating shelves for the sidewalls. We found working with Clarion Medical a great experience. They were influential in the design process and helped us by providing actionable feedback at each stage of the design. Their commitment to communication helped ensure a significant return on investment for the project. The team at Best Displays & Graphics is looking forward to further collaboration with clients throughout 2019 and beyond! If you’re preparing for an upcoming event and would like extra assistance building trade show booths, give our team a call today!